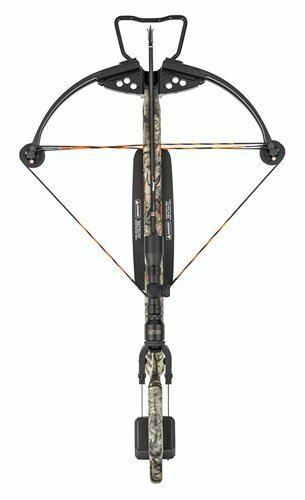 Looking for a quality crossbow to enhance your target shooting sessions or perhaps your hunting experience? The market is quite diversified, so it can be overwhelming to choose the right model. Fortunately, you do have a few front runners that provide a good value for money – no fancy bells and whistles, but just the right features at an affordable price. 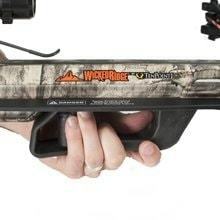 Wicked Ridge Invader G3 Crossbow is one of these models. There are numerous Wicked Ridge crossbow reviews from past buyers out there, meaning this model does sell. Now, what makes it so special and what's its secret? The Invader G3 model is probably one of the best crossbow out there if you're looking for a jack of all trades. It's basically designed to assist everyone, regardless of the skill level. Are you a complete beginner? Is this your first crossbow? It will certainly raise to your expectations and help you improve your game a little. Even if you do have some experience, this unit comes with some basic features taken to a new level, so it will most likely support you on the field. It does pay off researching it upfront though. So, what are its most important specifications and features? The Invader G3 model is one of the most compact crossbows out there. It measures 37.75 inches in length with stirrup. It goes up to 22.6 inches axle to axle and it's 4 inches in thickness. It's extremely comfortable to carry and hold while aiming or firing due to the long design. The weight is mostly distributed towards the tip, which is where you'll have the supporting hand. As for its weight, you'll only have to carry 6.6 pounds. Keep in mind the advertised weight is without any accessories. Load it up and it will weigh a bit more. It's still easy to carry around though. Unlike other crossbows, it doesn't feature a shoulder sling. It's not essential for such a lightweight crossbow, but it would've helped during long hunting sessions. Wicked Ridge doesn't want you to spend money on extra accessories, so you'll have everything in one package. You can literally use the crossbow out of the box, without having to invest in so-called optional accessories that are actually mandatory. 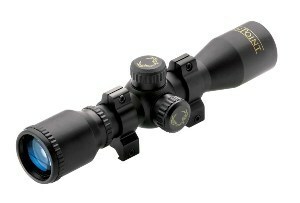 Apart from the actual unit, you also get a professional TenPoint 3x Multi-Line scope. The quiver carries the Wicked Ridge brand specifications and is easy to release. According to some reviews, this is probably the best crossbow scope in this price range. Some professionals choose to upgrade the scope as soon as they get a crossbow. With this model, you won't need to look for other crossbow scopes though. As for arrows, you'll have three of them. They're made from carbon for durability and speed, but they also measure 20 inches in length – a massive upgrade compared to other crossbows in this segment. Moreover, they feature 400 grains and 100 grain practice tips. Unlike other brands, Wicked Ridge also included a rope cocking mechanism for easy drawing. It's an ACU-52 self retracting system that also improves accuracy. Assembling the unit is piece of cake. There are four simple steps that shouldn't take more than half an hour for a complete beginner. They're explained with pictures in the owner's manual. The speed is determined by various factors and it's highly related to other specifications, such as the kinetic energy or the drawing weight. The drawing weight goes up to 165 pounds. Unless you're a muscular adult, it'll be hard to do it manually. Luckily, the crossbow comes with its own cocking rope mechanism, which will center the string and make cocking a breeze. The power stroke measures 13.5 inches. 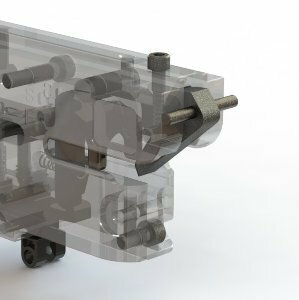 When combined with the drawing weight, it puts out an exquisite power. As a result, the kinetic energy is rated at 97FP. As a general rule of thumb, you'll need a kinetic energy of 40FP to take down a regular size deer. With such numbers, this crossbow is powerful enough to take down any prey. All these numbers lead to the actual speed. Given the 20 inch carbon bolts, the crossbow will shoot at 330 feet per second. It's the average speed in this segment. The speed is also influenced by a few factors, such as the arrow type and size. If you change the arrows, you might get more or less speed. The rifle style is a modern trend these days and it comes with a series of benefits. The Wicked Ridge crossbow makes no exception either. It literally looks like a rifle with an arrow and strings on top. How does this benefit you? Easy! It's easy to carry and comfortable to fire. When the crossbow rests against your arm or shoulder, you gain more stability while you aim. Besides, the shoulder takes some of its weight over. In terms of construction and build, you can count on solid and durable materials. The riser is made from magnesium. It's not just durable, but also lightweight. The wheels, limbs and riser are made from aluminum and CNC machined for extra precision. Other than that, it's worth noting that you can get this crossbow in two different types – with the ACU-52 cocking rope device (default) or the ACUdraw system. Safety is never to be overlooked when operating a weapon. In the attempt to prevent accidents or injuries, most manufacturers implement all kinds of safety features. In this case, you have a TenPoint patented DFI. The anti dry fire system is currently rated as one of the safest mechanisms on the market, so there is literally no way you will injure yourself. Its primary role is to prevent firing the crossbow without an arrow fitted on. The trigger is mostly built with comfort in mind, yet it also adds to the safety. It's consistent and smooth, yet firm. The pull is quite light – 3.5 pounds only. The fore grip carries similar standards. It features a patented system engineered with safety in mind. Even if this is your first crossbow, there are no accident risks if you're careful with it and operate it according to the rules. 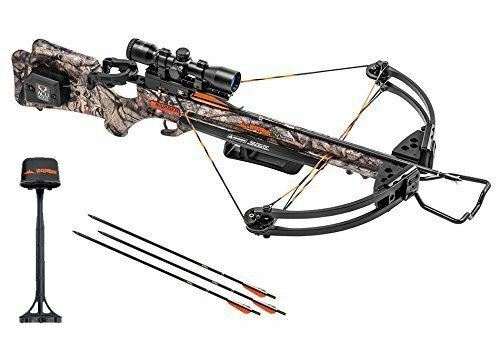 Looking for cheaper alternatives, check out our Best Crossbow under 500 Dollars. While a maintenance kit is not included in the package, you can easily purchase it separately. Such things are not expensive and usually consist of a small package of lube. You'll have to lube the string regularly. According to most of the crossbow expert advise, you should do it after every 10 shots. 1. How long does a string last? Normally, a quality string should easily last over 100 shots if properly maintained. However, a few hundred shots are not uncommon either. Maintenance implies lubricating the part where the string gets in touch with the flight track. 2. How long should I keep the bow cocked? Experts recommend cocking the bow when you are about to shoot in a stationary position. It's contraindicated walking around with the bow cocked. It's a matter of safety. If the target gets out of sight, fire the arrow in a safe backstop instead of chasing the prey with your bow cocked. 3. What kind of arrows should I use? There are multiple factors to keep in mind when choosing arrows, such as the kinetic energy, accuracy or speed, among others. Stick to arrows coming from the same manufacturer for perfect compatibility. If you want to use other arrows, make sure they are properly weighted and spined. In conclusion, it's easy to tell why there are so many Wicked Ridge crossbow reviews out there. This crossbow is rated 4.7 out of 5 stars. It carries a series of professional features, but it's also easy to use by beginners.